I love this look, the beanie is so cute. To bad I don't know anything about Tahoe but I'm sure the kids will have a blast. Super chic look! 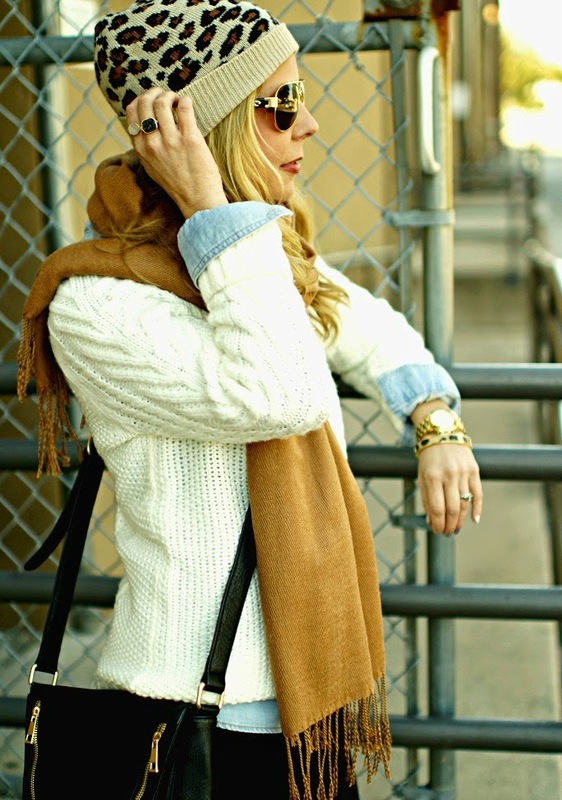 The beanie is so cute, I love the shades of black, camel and neutrals your rocking! A little bit of leopard is always a good thing! Super cute, and I love the boots. I need that leopard hat asap, and your boots are gorgeous! The trip you are planning sounds so amazing, I know you will have a blast! I love this look so much! The layers are perfect and you look amazing! It sounds like you have such fun Christmas plans. My oldest is at the point where I'm not sure if he still believes in Santa. He talks like he does in front of us and siblings, but it's one of those things where you can't ask, "oh hey do you still believe in Santa?" This might be the last year for him too. Insert sad face. I am loving this cozy neutral look. Your Christmas trip sounds amazing! I love this layered look! Your beanie is super cute! Your holiday trip sounds so fun! SO cute! Those boots are perfect! If they come in black they may replace my worn ones. We are on our last year with Santa for our oldest too. She keeps questioning us and then the other two ask her, "Is he REALLY real?" We are in for it. BTW, the link isn't showing up. I grew up a little over an hour outside of Tahoe and love it there! I started to write some recommendations but it got way too long for a comment so I'm shooting you an email instead. You will love it! Love this look with the layers. The leopard hat is perfect. What a fun trip you're planning, I think we have another year before my oldest really questions Santa but I'm just enjoying it while I can. Have a great day! You look adorable! In love with that leopard beanie! Youre going to have so much fun your trip!! Ps the link isn't working, or maybe it's just my computer? Happy Wednesday! What really nice look, love the boots! Who says Texas girls can't layer?! This outfit is adorable from head to toe! LOVE!! Love this cozy look! Oh how fun, a trip to Tahoe! I have never been but I'm sure it will be amazing especially for your girls to experience snow and mountains!! the leopard hat is the cuttest! Your linky is down, lady friend! What an awesome family gift! They'll never forget this experience and neither will you guys. Such a great look! It's so cute and cozy! Love that hat. Can you be any cuter? I love this ensemble u created out of shopping from your closet - it's always a good idea! And I can totally relate to winter being just a hot sec also here in LA!! 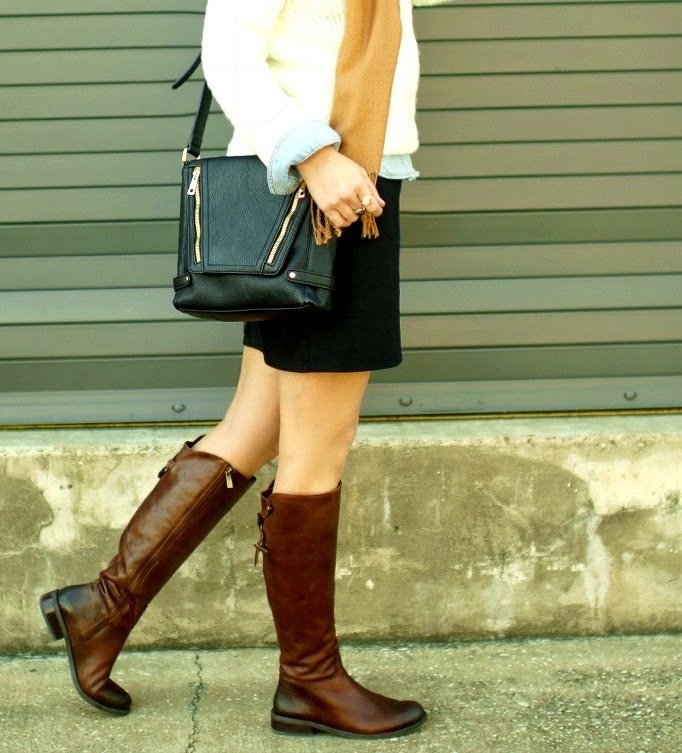 You've got me at those riding boots- they are perfect to finish up any casual outfit. Love them with your dress/sweater/chambray look, and you know how much I LOVE your accessorizing. Spot and perfect once again. Loving the layers! It looks cozy and chic! I'm actually with you on the new Taylor Swift video. I think the song is decent, and that her awkwardness totally worked on "Shake it Off", but not this one. I wasn't sure if she was being for real, or if it was a joke! Love the girly yet sporty vibe of this look. That beanie is so cute! I am in love with your beanie! Great twist on this classic and casual look. I also love that you went tightless with your riding boots! Super cute! You look so freakin adorable! I am in love with the leopard hat on you. So sad about the whole Santa thing.. I know this is something I'll have to deal with in the future, blah! Love that this is a dress and not a skirt! Love the look...this has me thinking to try it with a striped skirt I have. Adore the boots - if I weren't on a shopping freeze for myself it would be very easy to get these - love the color! This is so cute! I love it so much because I have pieces similar in my closet and could easily recreate it. Thanks for this inspiration! What a great trip you guys have planned! I'm sure your girls are going to love it and Santa! You always manage to wear trends while also staying true to your style. I love the layers in this look. I have trouble layering without looking bulky! Perfect, perfect, perfect casual look! you look absolutely flawless! love this beanie so much! just puts the whole look together. can you believe how cold it is in texas?? 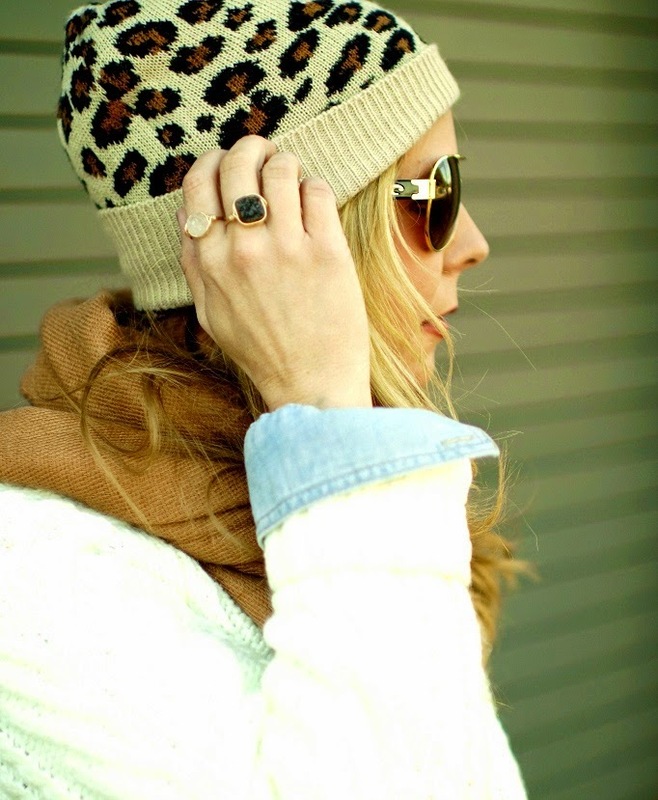 Great layering, and your leopard hat is so cute! I wish the cold only lasted a hot second for me, already over this winter. I love how you remixed pieces here and created this layered look! Your beanie is also really cute! This is a super cute outfit! I especially love that adorable leopard hat! I think I might be the only person on the planet that hasn't purchased TSwift's new album in any way! lol! And my little guy will be 3 in a couple of weeks and he is just getting into Santa. This year is going to be a lot of fun! Okay first I love this outfit! Cute, comfy and warm :). Secondly...THANK YOU. I thought I was the only person who wasn't a fan of her new cd. I bought it the day it came out because I've never not liked her stuff...but every time I listen to it I like it less. Cutest outfit :) Love that you're able to wear a skirt with it - how very Texan of you! I didn't like her new album at first - I had so much to say about it. But I read a few articles on how you have to listen to the songs in order, you have to know a little bit about the story she's trying to tell with the trajectory, and now I LOVE the album. LOVE it. Of course, I think she's much more suited for country / country-pop, but I read somewhere that it's not fair of us to expect her identity and style not to change. After all, if we were in her place, we wouldn't to be forced to sing the exact same way as I did when we were 14 years old. Also, I find it so weird I wrote such a long comment about this - I'm faaaaar from a diehard fan, so I think this is really funny! Tahoe!!! We have a tradition here at my college where we go with our dorms the first week of January for a ski trip. You will love it - it's breathtaking in the winter. We usually all pitch in / get some of it subsidized, so we rent out a large house. & then we bring lots of food and hot cocoa, which makes for a fun experience if you're not into spending money on going out to eat all the time. We also usually stay by Heavenly, which I would recommend! i've never seen a leopard beanie but it's so cute on you! Love the leopard hat!! I'm always a fan of pretty much any leopard accessory! You look great as always! I am absolutely loving this leopard print hat! I need one like that in my closet, yesterday! LOVE that outfit! I am still trying to break out of my comfort zone with layering... love checking on you for inspiration ;) And it makes me so sad that kids only believe in Santa for so long... hope it's a great year!! Love the leopard beanie on you, it adds to the outfit for sure! You'll love Tahoe - my dad and sisters went out there August 2013 for a family wedding and they ended up doing a private helicopter ride over the lake and the views were gorgeous! if you can do that you should! So cool and inspirational! I love this outfit! Perfect boots! 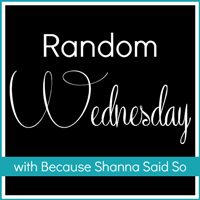 I love that you are remixing what you currently have. I have been doing the same. It does not stay cool here in So Cal either and I adore the pencil skirt with the tall boots look for this type of weather. I love that you are rocking 2 statement rings! I totally need to try that.